Trivia: This was Jayalalitha's debut film. 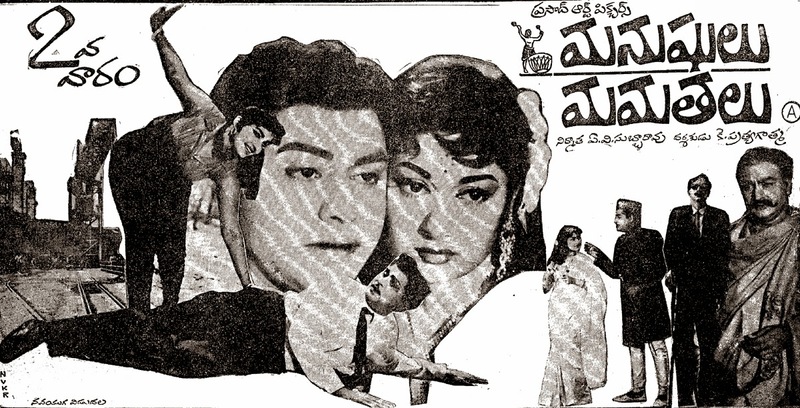 This was the first Telugu film got a 'A' certificate from Censor Board. 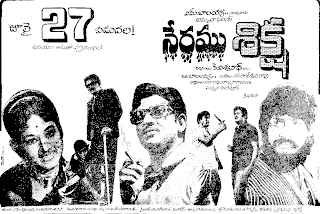 Trivia: D. Ramanaidu, the wellknown producer, entered into the film world with this movie as a financial partner. He invested Rs. 20,000, which was a big amount at that time. But his name didn't appeared in the titles. It was made in Vahini Studio, Chennai. Trivia: It received President's appreciation certificate. 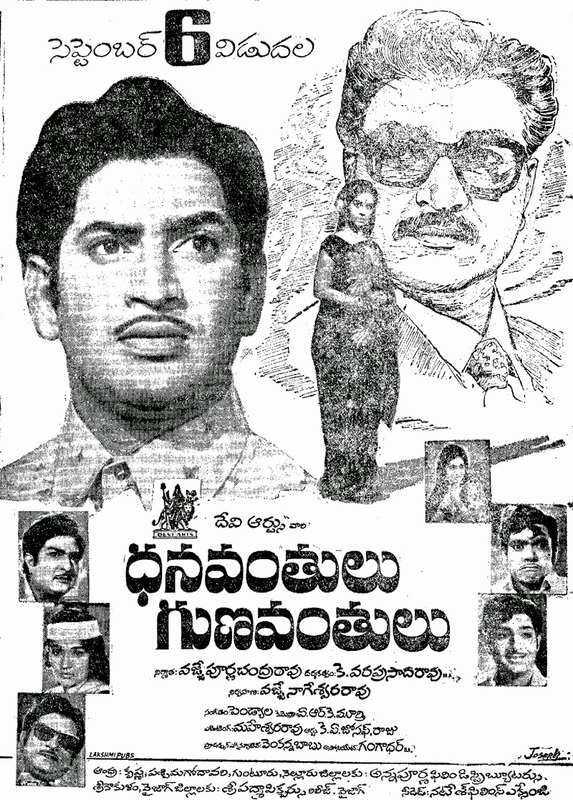 This was first time, C. Narayana Reddy had been written lyrics for an ANR's movie. Trivia: This was made in Telugu and Kannada simultaneously. Kalyan Kumar portrayed the Jakkanna role in the Kannada version 'Amarasilpi Jakkanachari'. 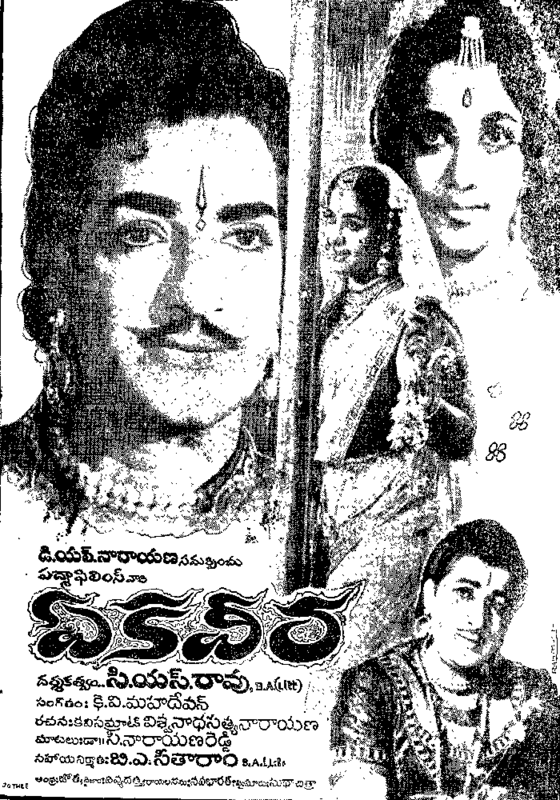 Nagaiah, ANR and Haranath played as father (Mallanna), son (Jakkanna) and grandson (Dakkanna) respectively. Trivia: This is singer Mallikarjun's debut movie as a music director. Trivia: This is EVV's last directorial film. He expired suddenly due to cardiac arrest on 21 January, 2011. 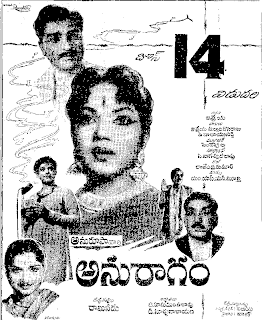 Trivia: 'Niduraporaa tammudaa' was the first telugu song rendered by Lata Mangeshkar. Trivia: Tilak dedicated this film to his younger brother Kollipara Rama Narasimha Rao, who encountered by the police in Manukota forests in August 1972. 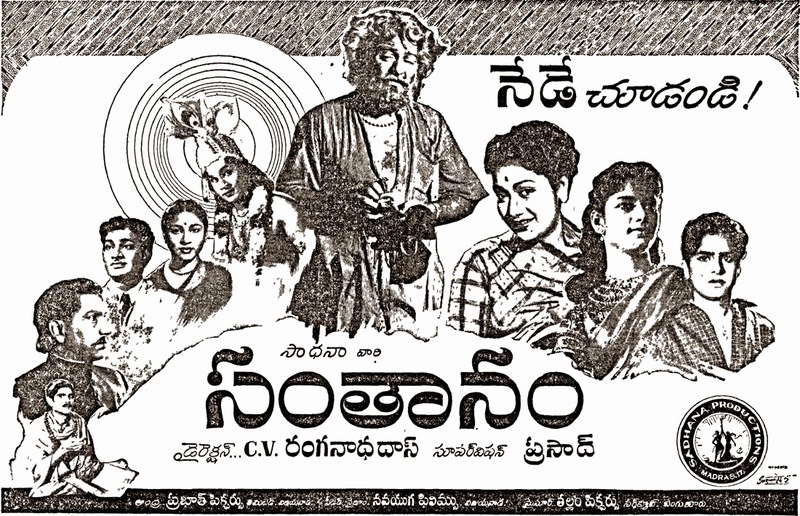 Jayaprada, daughter of Ravanam Sriramulu, a film distributor from Rajahmundry, introduced as Chandramma in this film. Siva Sagar's famous poem 'chellee chandramma' changed to as a burra katha in this movie. Synopsis: Seenu (Varun) is going for his second marriage and he meets Nimisha (Nisha Shah) while Avantika (Nisha Agarwal) is also going for her second marriage and meets Yuva (Shashank). Both of them decide to tell about their past to their prospective life partners. The flashback reveals how Seenu and Avantika meet each other, fall in love, get married against their parents wishes and in no time, get separated as well. Now, the time comes when they are almost about to get married to their new partners. Whether they move on with their life or will their love and the essence of marriage stop them forms the rest of the story. Synopsis: Set on the backdrop of Venkatapuram in the Godavari district, Veera Bbu (Siddharth) is the darling son of Sitaram Prasad (Rajendra Prasad). He is a complete brat and causes trouble in the village along with his group of friends. He chances upon Varalakshmi (Pranitha), whose father (Ahuthi Prasad) is a man of high status and talks to only such people. However, love blossoms between Veera Babu and Varalakshmi as they go a long way back. On the other hand, Sitaram Prasad has got a strong link with Varalakshmi’s family but stays away from them. What is that link? Does Veera Babu succeed in his love story? All this forms the rest of the story. Synopsis: Sitarama Raju (Mahesh Babu) is a taxi driver himself, he just descends in a remote village in Rajasthan. His mission is to save the people who are on the verge of annihilation due to mysterious reasons. The population looks towards him for deliverance. At this stage, he meets Subhashini (Anushka) and naturally love develops between the two. One Siddhappa (Shafi) reaches the village from nowhere to announce to the villagers that their savior has arrived. Before the hero gets to his job for which he has come there, Subashini’s dad (Tannikella Bharani) takes away the girl from the hero, for he wants to deliver her to a baddie GK (Prakash Raj), who wants her to marry his son. Now, Sitarama Raju has two goals before him: to rescue the heroine and to save the village from the threat of annihilation. Synopsis: Subba Rao (Srihari), an age-barred unemployed graduate, starts a detective agency to make his living. His first assignment is given by GK (Prakash Raj), a millionaire industrialist, to spy on a Dr. Suseela (Abhirami). Dr. Suseela is the fiancée of GK. Subba Rao does not the like the idea of GK suspecting the character of Dr. Suseela. Subba Rao feels that the marriage should happen when you trust your partner. Subba Rao tells GK that Suseela character is not good. He does it for benefiting Dr. Suseela as she gets rid of a guy who is paranoid about his fiancée. In the meantime, Subba Rao starts dreaming about falling in love with Dr. Suseela. Trivia: This was debut film for actor JV Ramana Murthy. This was first film for singer S. Janaki. Her first song was 'nee aasa adiyaasa lambadolla ramdaasaa'. Synopsis: Gautham (Nani) is abducted by John Abraham (Ashish Vidyarthi). On the way Gautham is forced to narrate his tale as Gautham talks of stopping a marriage and John too talks of preventing a wedding.Hence, the flashback. Gautham (Nani) is ready to propose to Simran (Kriti Kharbanda) with a bunch of red roses. But destiny has other plans. Elsewhere, Nithya (Nitya Menen) is playing cricket and hits Gautham with her shot. He is then taken to the hospital in the stretcher. Here there's a twist. Simran falls in love with the doctor treating Nani and they get married in six months. Gautham goes to the wedding but cannot face Simran. When he walks out, he gets drunk and meets a drunk Nithya who actually was in love with the doctor. Later on, Gautham accompanies her everywhere. He realises he's in love with her. But it's not as simple as it seems. She's in love with someone else. The process takes a twisted and curvy route. Synopsis: Story unfolds in the backdrop of Agarthala a small place in Angarajyam shaped like a tear drop. The unnatural deaths especially amongst the children is blamed on the evil spirit Irendri (Lakshmi Manchu), who is the ruler. Irendir`s life revolves around her search for immortality. Her mentors suggest she drink the blood of a divine child Moksha (Harshita) at a faraway land. Irendri dispatches her troupes to fetch the child for her. The child is under the care of a blind warrior (Siddarth) at an Ashram. The evil queen captures Priya (Shruti Hassan), the ladylove of the blind warrior. The divine child should be killed and Irendri should drink her blood on a full-moon night for her to turn immortal. The evil hour comes at last. The movie revolves around how the warrior puts an end to the evil spirit and rescues Priya. Synopsis: Major Jayasimha (Balakrishna) is a great patriot and he is proud of his profession. With the help of a covert, he catches a terrorist Afzhal Ghani and puts him behind bars. A crooked politician gets himself kidnapped and the terrorists demand the release of Ghani from custody. Again Major enters the scene and brings back the politician along with a girl called Razia from the terrorists’ base camp. Though, he believes that Razia is the daughter of the politician, she is a member of the terrorists gang. She robs information about Ghani’s movement from Jayasimha’s personal computer and takes him away from the army custody, while he is being shifted from one jail to another. Synopsis: Rishi (Ravi Teja) is a cop working at a special intelligence cell in Delhi. Kittu Bhai (Prakash Raj) is an international mafia kingpin operating from Bangkok. Rishi goes to Hyderabad and joins a college as a lecturer. He takes the under-cover job of lecturer to trap Kittu Bhai through Shankar Anna (Kota) - his channel in Hyderabad. He falls in love with a traditional Brahmin girl Vinamra (Richa Gangopadhay). The rest of the story is all about his triangular love story with Vaishali (Deeksha Seth) and how he brings Kittu Bhai to book. Trivia: French dancer Anne Chaymotty later became Devayani portrayed the title role. She was learning Kuchipudi from Vempati China Satyam. 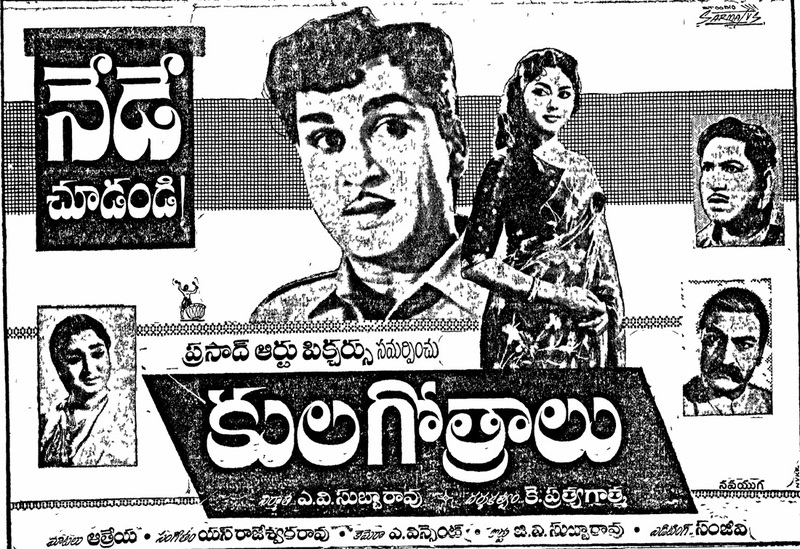 Trivia: Meghansh, son of Srihari, introduced as a child artiste with this movie. The top director SS Rajamouli has given voice over to opening scenes and some other scenes in this movie. Trivia: This film was released worldwide with 600 prints in 1000 theatres. Trivia: This is a highly inspired by the 1923 silent comedy film 'Our Hospitality', directed by Buster Keaton. This film had a 50 days run in 123 centres. 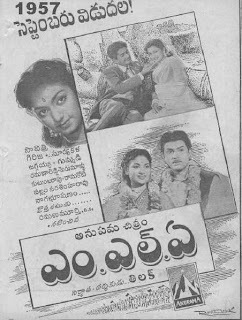 Trivia: This is the first Telugu film, entirely shot in the US. Synopsis: Anand (Krishna) who just completed his medicine in foreign countries returns to India, when he hears his father was murdered and his mother was kidnapped by Bhayankar (Rao Gopal Rao), a noted criminal and wanted by police in almost all the states in India. S.P.Sinha (Gummadi) who is looking after the Bhayankar meets Anand, and to keep him in safety he offers him to stay in his house. Sinha's sister Shanti (vanishree). To make the things hard Rowdi Ranganna (S.V.Ranga Rao) another wanted criminal lands in the same city. Though Anand is in the house of Sinha attacks on his life doesn't stop. Bhayankar who is expert in changing the appearance tries various ways to get the secret of the treasure of Anand's father hided in some place. How Anand rescues her mother and take revenge on Bhayankar with the help of Ranganna is the rest of the story. Trivia: This is first independent film for Puhalendi, the assistant to KV Mahadevan, as a music director. 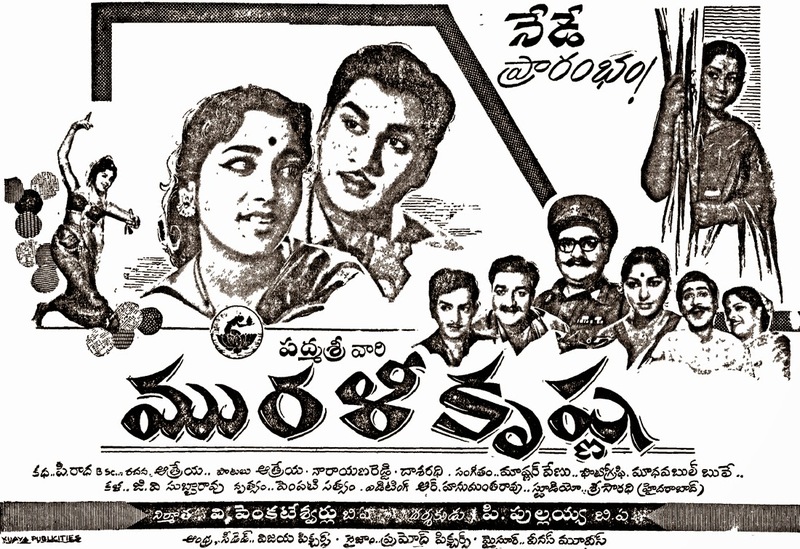 Trivia: This film based on film journalist Inturi Venkateswara Rao's navel 'Molla'. It got Nandi award for Best Feature Film. Trivia: This film based on Viswanatha Satyanarayana's novel 'Ekaveera'. This is lyric writer C. Narayana Reddy's debut film as a dialogue writer. He wrote 5 songs, 4 bit songs and one Yaksha Gana along with dialogues.